Team Building Trailblazer - Adventure, Learning & Fun! Whether it's team building, leadership training or a keynote speaker you are looking for, Summit Team Building provides experiences that skillfully combine adventure, learning, and fun. Our unique experiential programs are a great compliment for any conference or meeting, and our inspiring keynote by Summit president Scott Kress effectively entertains and motivates while imparting the wisdom gained from his most recent adventure of summitting Mount Everest. Our Experiential Approach - People learn most effectively through experience. Our action-based approach to team building also results in a more enjoyable and memorable experience. The Appropriateness of Our Programs - Summit Team Building experiences are designed to engage all participants, regardless of ability or activity level. Our programs skillfully balance the tension between having fun while not being inappropriate or silly. 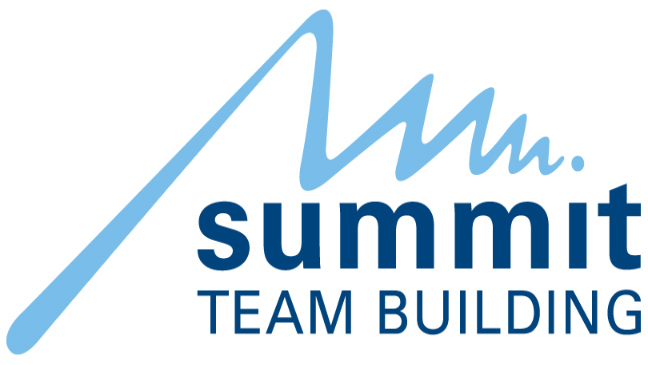 Our Responsiveness and Customization - Summit Team Building team is dedicated to providing our clients with prompt team building solutions that fit their unique needs. 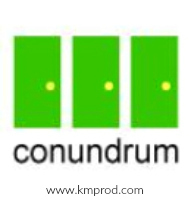 All programs can be tailored and modified to work with a wide range of group sizes and event themes. Our fast-paced and fun team building programs are aimed at fostering effective team relationships, adding energy to your meeting or conference, and providing a unique opportunity to bring awareness to the team skills that are critical for success. Searching for a model of brilliant teamwork in action? Look no further than the kitchen of a great restaurant. Chefs practice communication, prioritizing, adaptability and improvisation everyday. Now your corporate team can harness and hone these same skills by participating in Put Your Chef Hat On! This unique and popular culinary adventure mixes one part "The Iron Chef" with one part "The Amazing Race" to produce an unforgettable team building experience. This eco-friendly food experience will challenge teams to create the ultimate 100-mile masterpiece while learning about corporate environmental sustainability. Shake up your conference or spice up your pre-dinner event! Being a socially responsible workplace isn't a fad, but the way of the future! Locally raised and produced food has been called "the new organic." Get raw and organic with your team as you throw on your gourmet chef hats! Mixing culinary skills with an environmental conscience, this fast-paced activity will put your team to the test as they take on a variety of challenges in order to produce your 100-mile masterpiece! Turning raw ingredients into sweet and delectable ice cream requires expertise, precision and creativity. It’s a fascinating process that will require all of your team and leadership skills to be put into action. The Ice Cream Making Challenge combines the knowledge gained from various expert workshops with the unique experiential facilitation of Summit Team Building to produce an unforgettable and delicious team-building adventure. Teams that are not satisfied with the status quo - with just surviving - must OUTWIT, OUTPLAY and OUTLAST the competition. They must move beyond basic organizational survival and learn to thrive! SURVIVE-OR-THRIVE is an energetic, competitive, and insightful team experience that will identify the key team skills that are needed to make thriving a reality, while building stronger team relationships and morale. Giving back to the world community is something that is increasingly relevant for today's progressive organizations. This fast-paced adventure race combines orienteering and GPS technology with interactive team initiatives, while uniting team members as they work towards a common goal. Participants will be playing with the purpose of raising funds for Kiva, the world's first person-to-person micro-lending website, empowering individuals to lend directly to unique entrepreneurs in the developing world. Play it forward to bring your team to a new level of connectedness and engagement. With it roots in France, motor racing began in large part as a direct result of the enthusiasm with which the French public embraced the motorcar. A newfound enthusiasm is spreading globally for the next generation of car technology. Our Eco Prix will give you the opportunity to experience what Formula 1 fans will be cheering for at the races of the future ... and with our partner LivClean, this can be done with no carbon footprint left behind! Your team will gain valuable insights about corporate social responsibility as it pertains to the environment. Like all Summit programs, we blend learning with fun to build effective team relationships- now that’s playing with a purpose! Transforming a great idea into a feature film is said to be the "magic of Hollywood." Rarely do we think about the necessary pieces that need to come together to produce this magic. This is where true teamwork happens. This team building adventure will have your group identifying the skills needed for team success. Groups will then be challenged to communicate this through a "feature film" made up of digital photographs, narration, and special effects. Your team's goal is to build a series of highly specialized bridges. Participants will operate in small groups, cross-functional teams and as an entire organization to accomplish this bridge building challenge. With limited time and resources, coupled with the expectation of big results, your team will have to tap into the necessary elements of effective communication in order to succeed. At 8850m Everest is the tallest mountain on earth and one of the most sought after mountaineering goals. Your team will have a chance to embark on a simulated ascent of this extraordinary mountain. Participants will work together to form as a team, to create a vision of success and to make critical decisions that will lead them to the top. During Conquering Everest you will follow Summit President Scott Kress' 2008 climb of Everest when he became the 51st Canadian to stand on the summit. True stories, photos and video from the expedition will bring this program to life. The ultimate goal of this program is to demonstrate the power of team when embarking on a complex and challenging task. The learning focus of this program is: teamwork, collaboration, teamwork decision-making, communication, and leadership. Kids in kindergarten almost all enthusiastically claim to be artists. By the time they finish grade 6 they rarely do and only reluctantly. Where does that creative spark go? In truth, it is still there it just needs to be given a workout once in a while. The ability to sync our right brain – the creative side – with our left brain – the logical side, is a hot commodity in today's conceptual age. Learn how your team can incorporate underused elements of design, storytelling and play to find out how creativity could be your next big competitive edge. Infuse your event with positive energy by integrating a unique Summit Team Building experience into your agenda. Making personal connections is a sure way to foster effective relationships, engage participants and make your conference an unforgettable experience! While most of our programs can be delivered to groups of any size, these programs are designed to be cost-effective for groups larger than 100. Energize your conference by breaking the ice. Our professional facilitators will lead your group through a variety of interactive activities designed to build relationships and engage participants. The perfect way to kick-start the day and ensure delegates are awake and ready to get the most out of your conference or meeting. All mix, all mingle! Whether you are new to the workforce or a seasoned professional, the ability to network effectively can broaden your horizons and help you to open doors to opportunities that you may otherwise miss. This program will provide you with practical tools to best leverage any networking situation and give you the chance to practice these skills in a safe and engaging environment. You will discover that making valuable connections can be both easy and fun. NOTE: Costs for ALL of the above programs are dependent on location; the total number of participants; and the length of the desired program. Contact us for more information. Are you looking for an interactive keynote experience that will get your group out of their seats? Team development guru SCOTT KRESS will engage your group with activities, discussions and team success stories that are guaranteed to inspire, motivate and build relationships. Click here for more information. This was our second time working with Summit – they ran a customized version of "some assembly required" for 150 of our staff. Mary walked us through the planning stage. She listened to our ideas for the activity and concerns for the day and worked with us to put together an event that exceeded our expectations and addressed all of our needs. The event was well organized and executed in seamless fashion. Every member of their team was friendly, approachable and encouraging to staff. Our evaluations only had good things to say about the event and our employees still talk about how fun the experience was. Summit Team Building are experts in delivering fun and innovative team building activities. Summit Team Building provided a fun and innovative learning environment with their "Lights-Camera-Action" seminar. It was very interactive and hands-on while driving the principles of teamwork and leadership at the same time. We were impressed by Summit's efforts to customize their program to meet our team's needs. The facilitators and activities challenged people to leave their comfort zone. Everyone had a great time and commented on how much fun they had. I would like to thank [Summit and their] crew for a great afternoon. The program was well organized, on time and most importantly, a lot of fun. Our staff learned how to communicate better with co-workers and had fun doing it. We will certainly call on your organization again. –Farm Mutual Reinsurance Plan Inc.
We challenged Summit Team Building to develop a highly interactive, energizing team building event to kick off a national sales meeting. Simply put, it was a big hit! There truly was never a dull moment in the entire afternoon and the program generated positive momentum that carried us through our entire 3 day meeting. Our day spent with Summit Team Building was both a great team bonding experience and a chance to get out with our team members and have a really good time, and learn a little something along the way. Kudos to you and your team. I have been getting compliments from everyone! Summit Team Building offered a lively, professionally-facilitated and invigorating experience for our group. Fun was had by ALL!!! Thanks so much. My team was able to connect-the-dots between the team building activity and their every day work - as the team leader, that was my objective. What a fun way to reach and objective. Thank you!